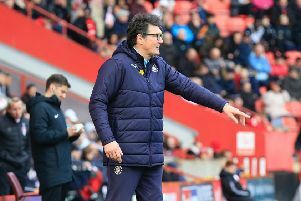 Hatters interim boss Mick Harford will leave it until the last minute to decide on the fitness of attacking duo Elliot Lee and Harry Cornick. Lee has missed the last two matches with a hamstring injury, while Cornick is yet to feature since going off against Barnsley on New Year’s Day, when he was on the receiving end of a heavy tackle, hurting his ankle. The Town chief kept the same side for the second game running at Southend on Saturday, with Luton running out 1-0 winners thanks to Matty Pearson’s first half header. On whether he had been tempted to make changes, Harford continued: “At times, when we moved the ball through the phases we looked exciting. “Going forward, some of the passing and movement was excellent, as we were getting ourselves into great positions. “They’ve got the shirt and I always say if you perform and do well, then you know you’ll keep the shirt.